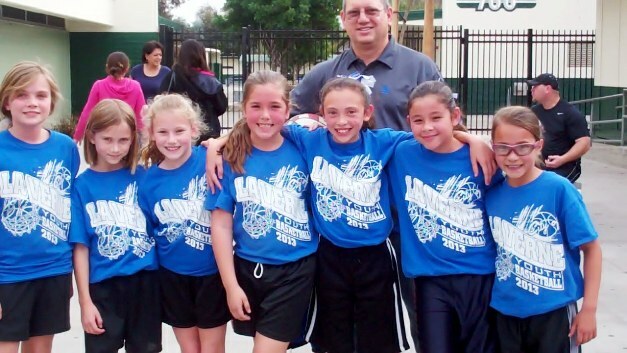 SHOCK WAVE: Leading the Shock to victory were, from left, Hayley, Hailey, Olivia, Beau, Casey, Janell and Analisa. Michael is the coach. Too cold to hit the beach, too warm to go skiing, the next best option was playing basketball in the Bonita High School old gym on Saturday. 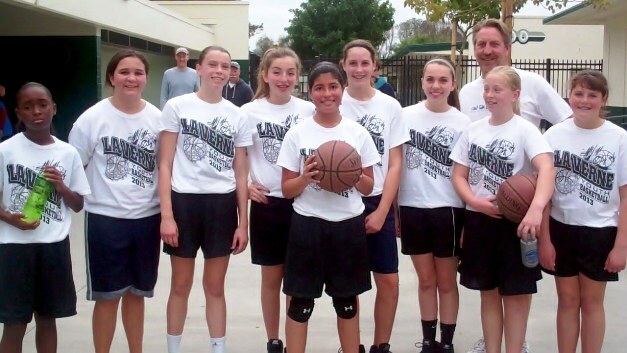 In the 1 p.m. La Verne City League Girls “B” division game, the Shock short-circuited the Storm, 20-9. The Shock never trailed in the contest, leading 4-0 after the first quarter, 8-3 at the half, 20-5 after the third and 20-9 when the final buzzer sounded. It was the first victory of the year for the Shock. In the 2 p.m. “A” Division match-up, the Dream shaded the Sky, 13-8. It was a wire-to-wire win for the Sky, who led 2-0, 6-2 and 8-5 in the first three quarters before closing out the contest, 13-8. With the win, the Dream pushed its record to 3-2. DREAM TEAM: With their unselfish passing, the Dream team looks as if it could go a long way in the upcoming playoffs. The players are, from left, Tamia, Alyssa, Kelli, Amber, Brianna, Sam, Genae, Coach Dan, Abby and Jessica.